Bruce Trachtenberg stepped down as executive director of the Communications Network on December 31. For the next few months, as the Network searches for his successor, he will serve as an advisor, assisting the board on ongoing programs and activities. In this interview, conducted by regular contributor Paul VanDeCarr, Bruce shares some thoughts about his seven and a half years at the Network. What is one aspect of your personal life that has the greatest impact on your professional life, including your time at the Network? In 1956, living in New York City, Dad bought a Ford. It turned out to be a lemon and, being my Dad, he fought Ford repeatedly to get it fixed. But all his efforts proved fruitless. After he started it again, he found a parking spot on Madison Avenue outside the offices of J. Walter Thompson, which happened to be Ford’s advertising agency, and left it there. Later that day when he was back at his office in the Daily News, Daily News, where he worked in advertising sales, his boss came to see him and asked if he’d parked a car “decorated with fruit” outside J. Walter Thompson. It was suggested for the sake of his career that he move it elsewhere. Although he was promised Ford would look into the matter, he got nervous and sold it. Still, he made his point. Speaking of funny stories, do you remember one from your years at the Network? About a year and a half ago we did a webinar called “Sink or Swim” that was designed to help people new to foundations and nonprofits demystify what it’s like being professional communicators in philanthropy. The webinar was led by Minna Jung of the David and Lucile Packard Foundation, currently board chair of the Network, and Kristen Grimm, president of Spitfire Strategies. Toward the end of the webinar, one of the participants asked: “When you are using the word strategic communications and you are explaining that to people, I’m wondering, is it strategic ‘communication’ or ‘communications’—plural?” Kristen, who fielded the question and who noted that some people were “fanatical” on this topic, replied that the correct usage when talking about it in a strategic sense is communication with no “s.” Communications, she added, are the tactics used to implement those strategies. Toot your horn—what’s something you’ve done at the Network that makes you proud? When I took over the Network it had—how shall I say this politely?—fallen into disrepair. In fact, there was serious doubt about whether there was a future for the Network. But we came roaring back over the years. Membership has grown from 75 to well over 500. We had 130 people at the first conference I organized in San Francisco in 2006. Last year, we had over 350 and a waiting list because we couldn’t fit everyone in. And each of the four conferences before the last one in New Orleans also sold out. But we’re not talking about me. Instead it’s the great people who’ve made the Network grow and flourish—our members. Whom do you want to thank for assistance during your time at the Network? Where do I start? First, the members themselves—especially the brave souls who came to the first conference in San Francisco in the Fall of 2006 and who have been coming back year after year. After that, the many generous funders who have made it possible for us to get so much done over the years. Finally, and with gratitude for the many, many ways they’ve helped, the Network’s board. That includes quite a few people who have stepped down over the years to be replaced by new directors who, like those that preceded them, have helped champion the Network and our mission of using smart communication to help improve lives. What one thing you’ve heard or learned in your career—at the Network or before—that you’ve carried with you over the years? I was working as a part-time reporter for The Oregonian in Portland in 1971 when a bulletin came across the wires that the U.S. Capitol building in Washington had been bombed. A news editor took control immediately to ensure the story would make the front page in time for the next morning’s home delivery. He got the job done in blinding speed. The next day at work he told me, “All day long I’ve been getting compliments for what I did last night. You’d think from the way people are acting that I don’t know how to do my job.” With that, he let out a roar. What’s one question you got asked frequently over the years? I’ve lost track of the number of times people would write or call to ask, “who does communications best in our field?” It’s also the question I dreaded the most. I’ve seen and heard about lots of great work—and always am happy to point out those examples. But I have always shied away from labeling anything as the “best.” I’m in no position to judge. At the same time, the Network is committed to finding examples of excellent practices for others to adopt and make their organizations more effective. For instance, we’ve been working with the Council on Foundations to revamp the long-running Wilmer Shields Awards to identify and honor excellence in philanthropic communications. In addition, the Network recently commissioned Brotherton Strategies to do a study, scheduled for release in Spring 2014, on the characteristics and benefits of integrated communication. What are some of the projects or activities the Network undertook over the years that standout for you? Here’s my list—with appropriate credits—and links to them our website. The report by Brotherton Strategies, “Come On In, The Water’s Fine”—which we published way back in 2008—on how emerging digital trends were starting to change foundation communications. The very funny webinar, courtesy of Andy Goodman, from the time we put “PowerPoint on Trial.” Edith Asibey’s excellent guide to evaluating foundation communications, “Are We There Yet.” The report we did in conjunction with the Philanthropy Awareness Initiative that asked, “Why Annual Reports?” There’s also our ongoing “A Quick Word With…” series created by Michael Remaley. We’ve done some great stuff with video over the years. They include the “Diavlog” interviews that Susan Herr conducted. More recently, she and Jai Sen developed our “Zero to Ninety” series that invites people to quickly sound off on topics that should matter to foundation and nonprofit communicators. We also featured several great speakers in the “Science of Communication” series co-sponsored by Spitfire Strategies. One of my favorites is the collection of words from Tony Proscio that comprise our “Jargon Finder.” Finally, and it’s impossible to single them all out here, the many, many guest posts on our blog. How about the best piece of advice you received when you took this job? What do you want your epitaph to read? Won some, lost some but always tried. Would do it all over again if I could. Even after you’ve left your post at the Network, is it okay if Network members still email you in the middle of the night asking for advice on a challenge they’re facing? That is, will you remain involved with the Network? Of course. Staying in touch with people has been the best part of the job. I’m not giving up those friendships. Just taking them with me wherever I go next. That presumes they want to stay in touch with me. I hope so. Take the time to get to know the people in the Network. Learn about what they do, their passions and how they feel about their work. Listen to their stories about what they know about the power of smart communication in our sector. Then use your position and all available platforms to share that with others who need to hear those stories. 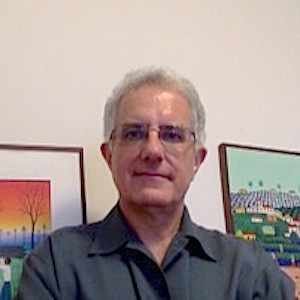 Paul VanDeCarr is managing director of Working Narratives.